Soak a large cedar grilling plank (about 15 inches by 7 inches) in water, 1 to 2 hours. Heat grill to medium. Combine sugar, paprika, lemon zest, and 1/2 teaspoon each salt and pepper in a bowl. Season salmon with salt and rub spice mixture all over flesh side. 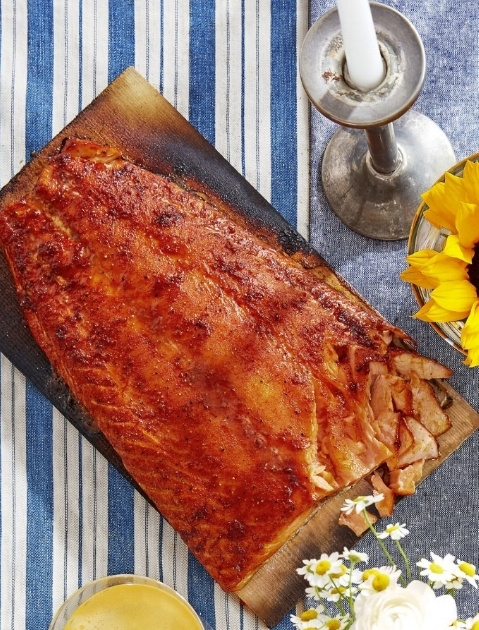 Place salmon on soaked plank, skin side down. Grill, covered, to desired doneness, 25 to 28 minutes for medium.